Help! My Child Isn’t Walking Yet - I Am Proud Of My Kids! In some occasions, a child may continue to crawl on his belly while other age mates are already walking. Most probably, a late ‘walker’ was also late for the other milestones such as sitting upright without support. This raises the question about his motion development. Not struggling to walk at all at 1.6 years could be termed as completely normal and yet unusual. To some extent, it could raise the flag on your child’s health. Here is just a reminder on how a normal child should develop. It only allows a very limited scale for errors. 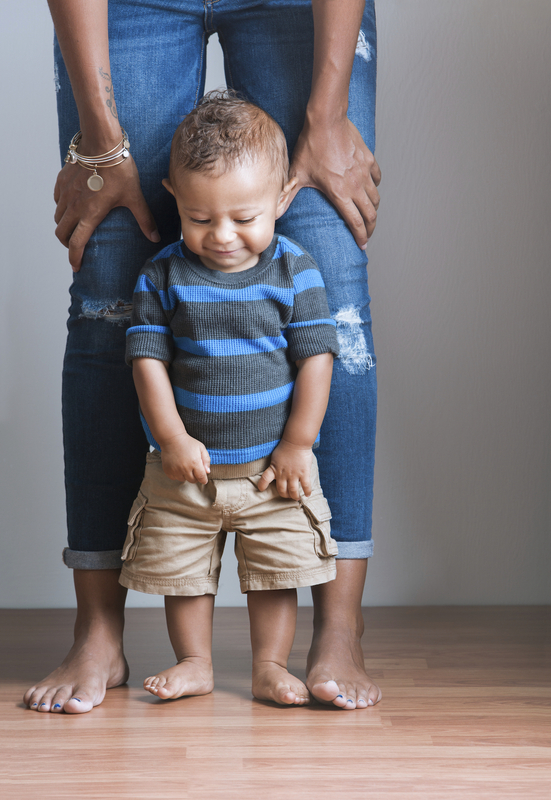 At this age, only a walking reflex is present, a child will move her legs in a walking manner when the feet come into contact with a hard surface. In this age bracket, a child can complete mini-pushups. This tones the abdominal muscles that are very important for walking. At the prime (5 months), she will bounce up and down when held in a walking position. Your child can sit with her neck upright. She can properly coordinate her neck and hands without falling back. Though most crawl at this age, some may go straight to walking. A lot happens at this age bracket. At eleven months, she can stand unsupported for a while. At twelve months, a child can complete a step while being supported with both your hands. This will progress to solo steps arms stretched out at fourteen months. At fifteen months, your child should walk comfortably. Buy push toys for your child at this age. At eighteen months, she can actually run. What may cause the delay? Walking is all about child care and motivation. Some children might spend most of their time in a baby exerciser. A baby exerciser focuses more on the tiptoes. This becomes a problem when it comes to the actual walking where he has to balance the whole body weight on the pelvic muscles where the center of gravity is located. Baby walkers are another bad option. Though some say that they may help your child to walk, baby walkers do not equip your child with actual walking skills. A child needs to be free to roam. Enclosing him/her in a baby walker, carrying him all around or fastening him for long hours in a baby seat lowers the child’s urge to move out of his comfort zone. This results in a weaker muscle tone. Lack of proper coordination could also be caused by hyperactive muscles where a child only manages to walk for a few steps. Some children could also develop late intellectually. This could cause a significant delay. First and foremost, you need to take your child for a medical examination. The doctor will give you proper advised based on the neurological and muscles examination. If a serious problem is not identified, a doctor may recommend regular play periods and child motivation. In overly delayed cases, the doctor could refer you to a child physical therapist. Be the first to comment on "Help! My Child Isn’t Walking Yet"